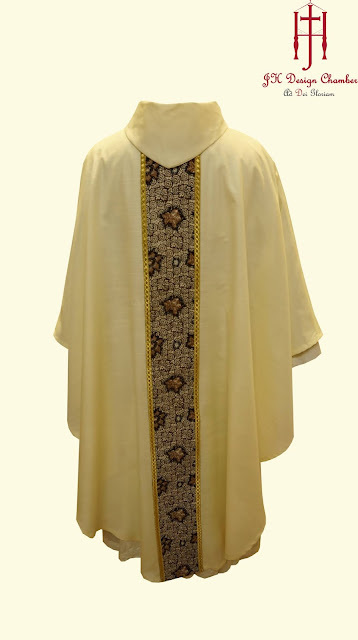 A chasuble made of cotton silk with a printed batik pattern cotton as the orphrey. 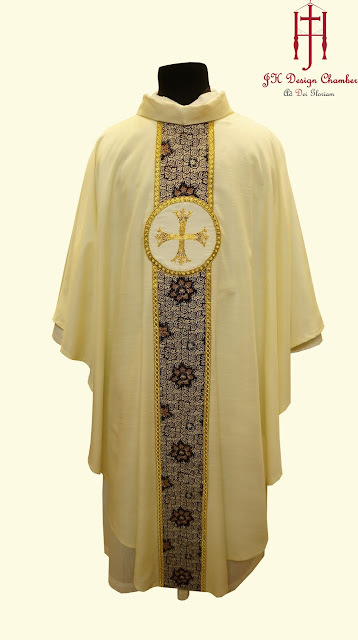 The hand embroidered cross is made by couching gold thread and french knots using the matching coloured thread. 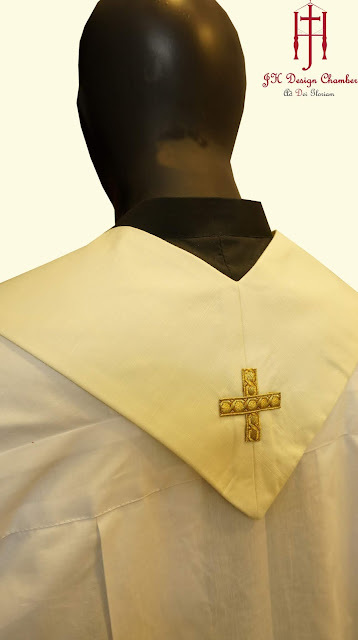 The cutting of the chasuble is a full gothic with a cowl collar. 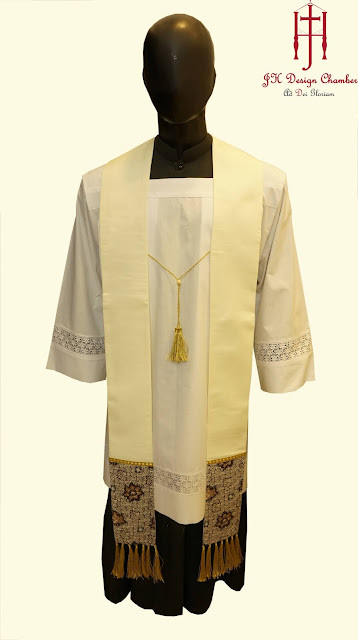 The matching stole is design to match the local's church standards. Batik is one of the characters of South East Asia's fabric printing art.